Send plaid tidings for the holiday table! 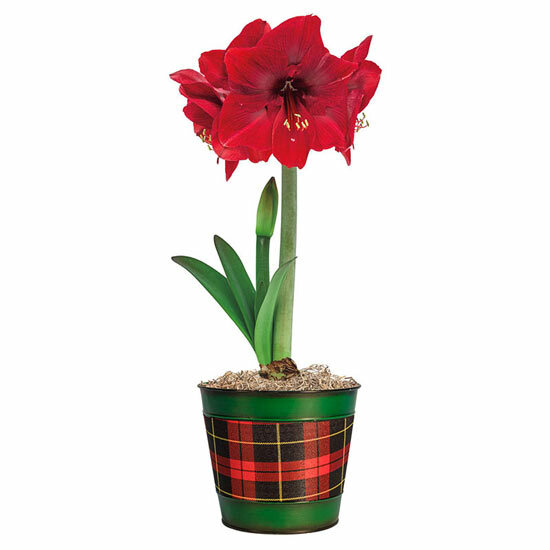 Christmas and plaid go together like mistletoe and kisses, so we've paired bold red Miracle Amaryllis with two equally eye-catching, tartan plaid planters. The best red variety around, Miracle produces velvety, 6-7" flowers atop thick, sturdy stems in just 4-6 weeks. Triple-bulb gift makes a great living centerpiece, or choose the Single to fit anywhere space is limited. EXCLUSIVE. 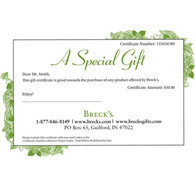 These made the perfect gift for my supervisor. 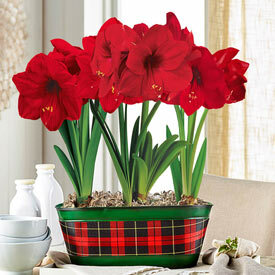 These amaryllis are strong, quick to grow and flower. The color cannot be truly appreciated in this picture. The amaryllis bulbs have produced very large and perfect blooms! It will be hard to beat next year's Christmas gift for the boss!